A completely valid quantum field theory for gravity is currently non-existent due to its non-renormalizablity. In spite of this difficulty, general relativity is treated as an "effective" quantum field theory in the low energy regime, quite below the Planck mass MP = κ-2. In this regime, the theory remains predictive and useful for computing quantum effects. In this paper, we use gravitational effective field theory to investigate the scattering of a gravitational wave, effectively treated as a single graviton particle, by a massive scalar field. We assume that the massive scalar field comes from a celestial object like a star. We compare it to the gravitational lensing of a photon traversing the same field. At lowest order, no difference in the deflection angle is observed. This result runs counter to the expectation that at one-loop, quantum corrections of order κ6 will contribute a very small but significant change in the deflection angle. J. A. Villanueva and M. F. I. Vega. 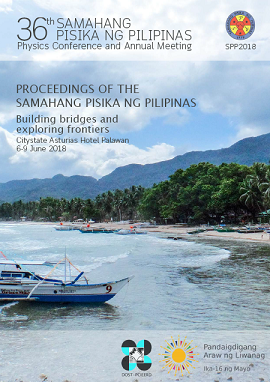 Quantum corrections to the deflection angle of a gravitational wave by a massive scalar object, Proceedings of the Samahang Pisika ng Pilipinas 36, SPP-2018-PB-20 (2018). URL: https://paperview.spp-online.org/proceedings/article/view/SPP-2018-PB-20.